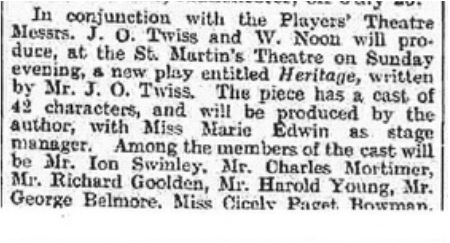 Charles Mortimer was in the cast of "Heritage" at the Fortune and the St Martin's Theatres in London, in 1933. 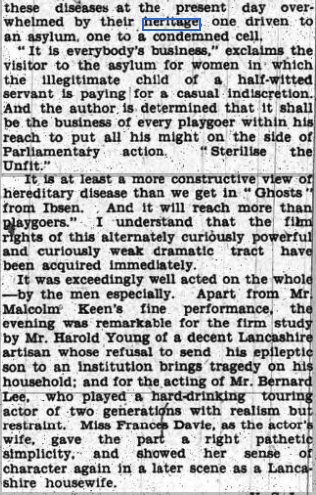 The cast included Bernard Lee, later to play "M" in the James Bond films. 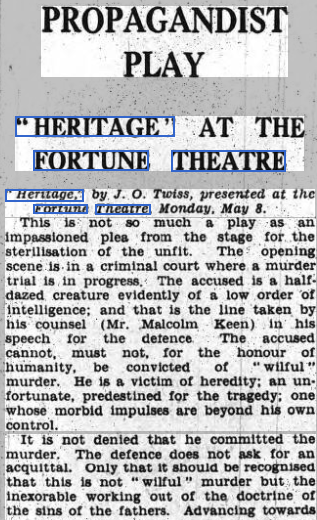 The play was about the behaviour of a murderer that has been affected by hereditary factors. With kind permission of the Times. 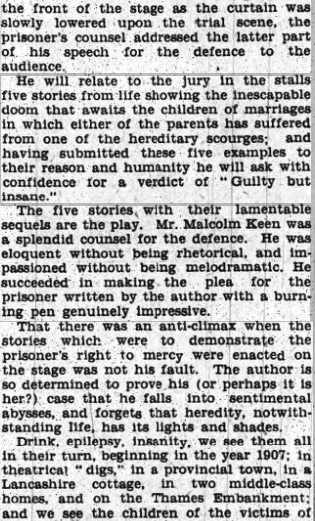 From The Yorkshire Post and Leeds Intelligencer - Tuesday 09 May 1933. 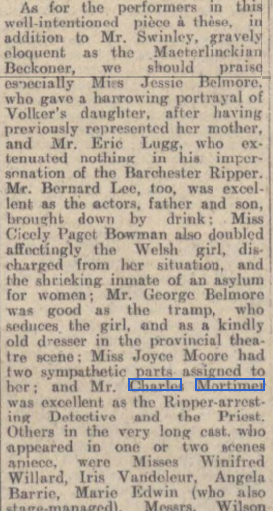 From The Sphere - Saturday 20 May 1933.